For those who don’t know what Leap Motion is, take a look at this youtube video. 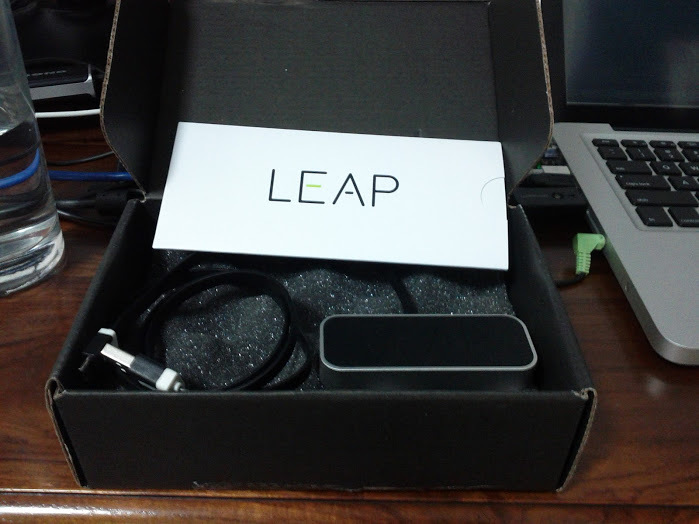 I got the Leap Motion hardware and SDK by participating in their developer program. I was the lucky few that was selected. They informed me through email. 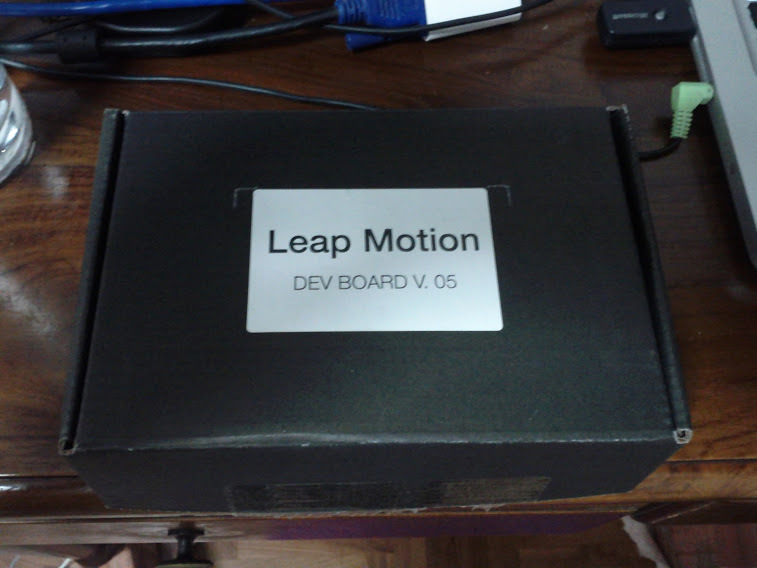 A few weeks later, the Leap motion device is mailed to me, free of charge. It came in a dull black cardbox box. Within the box lies the device, a cable, and a card bearing a message from the founders. It is very small and light. One side etched the Leap logo. The other lies the sensors. When you power the device, three red bulbs reveal themselves. That is where the magic happens. Powering the device will does nothing, you need to install the software. There is a SDK provided for Mac and Windows platforms. It comes with a set of examples and documentation to help you get started. Once you connect the device up, run the Leap app and you’ll be ready to go. The Leap SDK gives you several debugging tools. There is a visualizer which displays a trace of your fingers as you move. Leap Motion Visualizer from Graham Gaylor on Vimeo. It is backed by a grid, so you can literally trace little grids with your finger. Accuracy is touted as Leap Motion’s strength. That is no lie. I can easily trace the small grid with my clumsy finger. It is nothing short of amazing. Besides your fingers, Leap traces anything that resembles a stick. I don’t sense a lag. Even if I move quickly, Leap is able to capture it. I could tell Leap is computationally intensive. My computer fans are always in ovedrive when I use Leap. The first leap experiment I did was to replicate Mike Bostock’s D3.js particles. I got a trail of particles to follow each pointer. A gesture has a start and an end. Leap runs in an infinite loop. I had to define a start and end. In my gesture experiment, I defined 2 states: fist and point. The fist state literally means clenching into a fist. It acts as a blank state which I use to define the end points of the gesture movement. The point state means an extended finger. In that state, movement is captured. While my experiment is able to recognize gestures, it did not do so cleanly. When I change between a clenched fist to a pointing finger, there are some jitters unavoidably. That polluted my gesture shape. It is very hard to form a clean shape. There should be a better way to define the end point of a gesture.